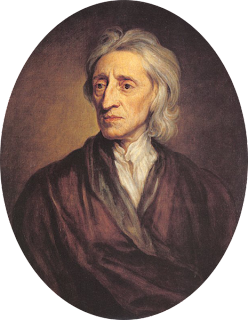 John Locke (1632–1704). Some Thoughts Concerning Education. Locke taught children by means of games. He tells of a game whereby children were taught to spell with dice on which the letters of the alphabet were pasted. This was more than 200 years before modern kindergarten methods. Today's children would respond to such wise direction as Locke recommends. § 148. When he can talk, ’tis time he should begin to learn to read. But as to this, give me leave here to inculcate again, what is very apt to be forgotten, viz. That great care is to be taken, that it be never made as a business to him, nor he look on it as a task. We naturally, as I said, even from our cradles, love liberty, and have therefore an aversion to many things for no other reason but because they are enjoin’d us. I have always had a fancy that learning might be made a play and recreation to children: and that they might be brought to desire to be taught, if it were proposed to them as a thing of honour, credit, delight, and recreation, or as a reward for doing something else; and if they were never chid or corrected for the neglect of it. That which confirms me in this opinion is, that amongst the Portuguese, ’tis so much a fashion and emulation amongst their children, to learn to read and write, that they cannot hinder them from it: they will learn it one from another, and are as intent on it, as if it were forbidden them. I remember that being at a friend’s house, whose younger son, a child in coats, was not easily brought to his book (being taught to read at home by his mother) I advised to try another way, than requiring it of him as his duty; we therefore, in a discourse on purpose amongst our selves, in his hearing, but without taking any notice of him, declared, that it was the privilege and advantage of heirs and elder brothers, to be scholars; that this made them fine gentlemen, and beloved by every body: and that for younger brothers, ’twas a favour to admit them to breeding; to be taught to read and write, was more than came to their share; they might be ignorant bumpkins and clowns, if they pleased. This so wrought upon the child, that afterwards he desired to be taught; would come himself to his mother to learn, and would not let his maid be quiet till she heard him his lesson. I doubt not but some way like this might be taken with other children; and when their tempers are found, some thoughts be instill’d into them, that might set them upon desiring of learning, themselves, and make them seek it as another sort of play or recreation. But then, as I said before, it must never be imposed as a task, nor made a trouble to them. There may be dice and play-things, with the letters on them to teach children the alphabet by playing; and twenty other ways may be found, suitable to their particular tempers, to make this kind of learning a sport to them. § 149. Thus children may be cozen’d into a knowledge of the letters; be taught to read,without perceiving it to be any thing but a sport, and play themselves into that which others are whipp’d for. Children should not have any thing like work, or serious, laid on them; neither their minds, nor bodies will bear it. It injures their healths; and their being forced and tied down to their books in an age at enmity with all such restraint, has, I doubt not, been the reason, why a great many have hated books and learning all their lives after. ’Tis like a surfeit, that leaves an aversion behind not to be removed. § 150. I have therefore thought, that if play-things were fitted to this purpose, as they are usually to none, contrivances might be made to teach children to read, whilst they thought they were only playing. For example, what if an ivory-ball were made like that of the royal-oak lottery, with thirty two sides, or one rather of twenty four or twenty five sides; and upon several of those sides pasted on an A, upon several others B, on others C, and on others D? I would have you begin with but these four letters, or perhaps only two at first; and when he is perfect in them, then add another; and so on till each side having one letter, there be on it the whole alphabet. This I would have others play with before him, it being as good a sort of play to lay a stake who shall first throw an A or B, as who upon dice shall throw six or seven. This being a play amongst you, tempt him not to it, lest you make it business; for I would not have him understand ’tis any thing but a play of older people, and I doubt not but he will take to it of himself. And that he may have the more reason to think it is a play, that he is sometimes in favour admitted to, when the play is done the ball should be laid up safe out of his reach, that so it may not, by his having it in his keeping at any time, grow stale to him. § 151. To keep up his eagerness to it, let him think it a game belonging to those above him: and when, by this means, he knows the letters, by changing them into syllables, he may learn to read, without knowing how he did so, and never have any chiding or trouble about it, nor fall out with books because of the hard usage and vexation they have caus’d him. Children, if you observe them, take abundance of pains to learn several games, which, if they should be enjoined them, they would abhor as a task and business. I know a person of great quality (more yet to be honoured for his learning and virtue than for his rank and high place) who by pasting on the six vowels (for in our language Y is one) on the six sides of a die, and the remaining eighteen consonants on the sides of three other dice, has made this a play for his children, that he shall win who, at one cast, throws most words on these four dice; whereby his eldest son, yet in coats, has play’d himself into spelling, with great eagerness, and without once having been chid for it or forced to it. § 152. I have seen little girls exercise whole hours together and take abundance of pains to be expert at dibstones as they call it. Whilst I have been looking on, I have thought it wanted only some good contrivance to make them employ all that industry about something that might be more useful to them; and methinks ’tis only the fault and negligence of elder people that it is not so. Children are much less apt to be idle than men; and men are to be blamed if some part of that busy humour be not turned to useful things; which might be made usually as delightful to them as those they are employed in, if men would be but half so forward to lead the way, as these little apes would be to follow. I imagine some wise Portuguese heretofore began this fashion amongst the children of his country, where I have been told, as I said, it is impossible to hinder the children from learning to read and write: and in some parts of France they teach one another to sing and dance from the cradle. § 153. The letters pasted upon the sides of the dice, or polygon, were best to be of the size of those of the folio Bible, to begin with, and none of them capital letters; when once he can read what is printed in such letters, he will not long be ignorant of the great ones: and in the beginning he should not be perplexed with variety. With this die also, you might have a play just like the royal oak, which would be another variety, and play for cherries or apples, &c.
§ 154. Besides these, twenty other plays might be invented depending on letters, which those who like this way, may easily contrive and get made to this use if they will. But the four dice above-mention’d I think so easy and useful, that it will be hard to find any better, and there will be scarce need of any other. § 155. Thus much for learning to read, which let him never be driven to, nor chid for; cheat him into it if you can, but make it not a business for him. ’Tis better it be a year later before he can read, than that he should this way get an aversion to learning. If you have any contest with him, let it be in matters of moment, of truth, and good nature; but lay no task on him about A B C. Use your skill to make his will supple and pliant to reason: teach him to love credit and commendation; to abhor being thought ill or meanly of, especially by you and his mother, and then the rest will come all easily. But I think if you will do that, you must not shackle and tie him up with rules about indifferent matters, nor rebuke him for every little fault, or perhaps some that to others would seem great ones; but of this I have said enough already. § 156. When by these gentle ways he begins to read, some easy pleasant book, suited to his capacity, should be put into his hands, wherein the entertainment that he finds might draw him on, and reward his pains in reading, and yet not such as should fill his head with perfectly useless trumpery, or lay the principles of vice and folly. To this purpose, I think Æsop’s Fables the best, which being stories apt to delight and entertain a child, may yet afford useful reflections to a grown man; and if his memory retain them all his life after, he will not repent to find them there, amongst his manly thoughts and serious business. If his Æsop has pictures in it, it will entertain him much the better, and encourage him to read, when it carries the increase of knowledge with it: for such visible objects children hear talked of in vain and without any satisfaction whilst they have no ideas of them; those ideas being not to be had from sounds, but from the things themselves or their pictures. And therefore I think as soon as he begins to spell, as many pictures of animals should be got him as can be found, with the printed names to them, which at the same time will invite him to read, and afford him matter of enquiry and knowledge. Reynard the Fox is another book I think may be made use of to the same purpose. And if those about him will talk to him often about the stories he has read, and hear him tell them, it will, besides other advantages, add encouragement and delight to his reading, when he finds there is some use and pleasure in it. These baits seem wholly neglected in the ordinary method; and ’tis usually long before learners find any use or pleasure in reading, which may tempt them to it, and so take books only for fashionable amusements, or impertinent troubles, good for nothing. § 157. The Lord’s Prayer, the Creeds, and Ten Commandments, ’tis necessary he should learn perfectly by heart; but, I think, not by reading them himself in his primer, but by somebody’s repeating them to him, even before he can read. But learning by heart, and learning to read, should not I think be mix’d, and so one made to clog the other. But his learning to read should be made as little trouble or business to him as might be. What other books there are in English of the kind of those above-mentioned, fit to engage the liking of children, and tempt them to read, I do not know: but am apt to think, that children being generally delivered over to the method of schools, where the fear of the rod is to inforce, and not any pleasure of the employment to invite them to learn, this sort of useful books, amongst the number of silly ones that are of all sorts, have yet had the fate to be neglected; and nothing that I know has been considered of this kind out of the ordinary road of the horn-book, primer, psalter, Testament, and Bible. § 158. As for the Bible, which children are usually employ’d in to exercise and improve their talent in reading, I think the promiscuous reading of it through by chapters as they lie in order, is so far from being of any advantage to children, either for the perfecting their reading, or principling their religion, that perhaps a worse could not be found. For what pleasure or encouragement can it be to a child to exercise himself in reading those parts of a book where he understands nothing? And how little are the law of Moses, the song of Solomon, the prophecies in the Old, and the Epistles and Apocalypse in the New Testament, suited to a child’s capacity? And though the history of the Evangelists and the Acts have something easier, yet, taken altogether, it is very disproportional to the understanding of childhood. I grant that the principles of religion are to be drawn from thence, and in the words of the scripture; yet none should be propos’d to a child, but such as are suited to a child’s capacity and notions. But ’tis far from this to read through the whole Bible, and that for reading’s sake. And what an odd jumble of thoughts must a child have in his head, if he have any at all, such as he should have concerning religion, who in his tender age reads all the parts of the Bible indifferently as the word of God without any other distinction! I am apt to think, that this in some men has been the very reason why they never had clear and distinct thoughts of it all their lifetime. § 159. And now I am by chance fallen on this subject, give me leave to say, that there are some parts of the Scripture which may be proper to be put into the hands of a child to engage him to read; such as are the story of Joseph and his brethren, of David and Goliath, of David and Jonathan, &c. and others that he should be made to read for his instruction, as that, What you would have others do unto you, do you the same unto them;and such other easy and plain moral rules, which being fitly chosen, might often be made use of, both for reading and instruction together; and so often read till they are throughly fixed in the memory; and then afterwards, as he grows ripe for them, may in their turns on fit occasions be inculcated as the standing and sacred rules of his life and actions. But the reading of the whole Scripture indifferently, is what I think very inconvenient for children, till after having been made acquainted with the plainest fundamental parts of it, they have got some kind of general view of what they ought principally to believe and practise; which yet, I think, they ought to receive in the very words of the scripture, and not in such as men prepossess’d by systems and analogies are apt in this case to make use of and force upon them. Dr. Worthington, to avoid this, has made a catechism, which has all its answers in the precise words of the Scripture; a thing of good example, and such a sound form of words as no Christian can except against as not fit for his child to learn. Of this, as soon as he can say the Lord’s Prayer, Creed, the Ten Commandments, by heart, it may be fit for him to learn a question every day, or every week, as his understanding is able to receive and his memory to retain them. And when he has this catechism perfectly by heart, so as readily and roundly to answer to any question in the whole book, it may be convenient to lodge in his mind the remaining moral rules scatter’d up and down in the Bible, as the best exercise of his memory, and that which may be always a rule to him, ready at hand, in the whole conduct of his life. § 160. When he can read English well, it will be seasonable to enter him in writing: and here the first thing should be taught him is to hold his pen right; and this he should be perfect in before he should be suffered to put it to paper: For not only children but any body else that would do any thing well, should never be put upon too much of it at once, or be set to perfect themselves in two parts of an action at the same time, if they can possibly be separated. I think the Italian way of holding the pen between the thumb and the forefinger alone, may be best; but in this you may consult some good writing-master, or any other person who writes well and quick. When he has learn’d to hold his pen right, in the next place he should learn how to lay his paper, and place his arm and body to it. These practices being got over, the way to teach him to write without much trouble, is to get a plate graved with the characters of such a hand as you like best: but you must remember to have them a pretty deal bigger than he should ordinarily write; for every one naturally comes by degrees to write a less hand than he at first was taught, but never a bigger. Such a plate being graved, let several sheets of good writing-paper be printed off with red ink, which he has nothing to do but go over with a good pen fill’d with black ink, which will quickly bring his hand to the formation of those characters, being at first shewed where to begin, and how to form every letter. And when he can do that well, he must then exercise on fair paper; and so may easily be brought to write the hand you desire. § 161. When he can write well and quick, I think it may be convenient not only to continue the exercise of his hand in writing, but also to improve the use of it farther in drawing; a thing very useful to a gentleman in several occasions; but especially if he travel, as that which helps a man often to express, in a few lines well put together, what a whole sheet of paper in writing would not be able to represent and make intelligible. How many buildings may a man see, how many machines and habits meet with, the ideas whereof would be easily retain’d and communicated by a little skill in drawing; which being committed to words, are in danger to be lost, or at best but ill retained in the most exact descriptions? I do not mean that I would have your son a perfect painter; to be that to any tolerable degree, will require more time than a young gentleman can spare from his other improvements of greater moment. But so much insight into perspective and skill in drawing, as will enable him to represent tolerably on paper any thing he sees, except faces, may, I think, be got in a little time, especially if he have a genius to it; but where that is wanting, unless it be in the things absolutely necessary, it is better to let him pass them by quietly, than to vex him about them to no purpose: and therefore in this, as in all other things not absolutely necessary, the rule holds, nil invita Minerva. ¶ 1. Short-hand, an art, as I have been told, known only in England, may perhaps be thought worth the learning, both for dispatch in what men write for their own memory, and concealment of what they would not have lie open to every eye. For he that has once learn’d any sort of character, may easily vary it to his own private use or fancy, and with more contraction suit it to the business he would employ it in. Mr. Rich’s, the best contriv’d of any I have seen, may, as I think, by one who knows and considers grammar well, be made much easier and shorter. But for the learning this compendious way of writing, there will be no need hastily to look out a master; it will be early enough when any convenient opportunity offers itself at any time, after his hand is well settled in fair and quick writing. For boys have but little use of short hand, and should by no means practise it till they write perfectly well, and have throughly fixed the habit of doing so. § 162. As soon as he can speak English, ’tis time for him to learn some other language. This no body doubts of, when French is propos’d. And the reason is, because people are accustomed to the right way of teaching that language, which is by talking it into children in constant conversation, and not by grammatical rules. The Latin tongue would easily be taught the same way, if his tutor, being constantly with him, would talk nothing else to him, and make him answer still in the same language. But because French is a living language, and to be used more in speaking, that should be first learned, that the yet pliant organs of speech might be accustomed to a due formation of those sounds, and he get the habit of pronouncing French well, which is the harder to be done the longer it is delay’d. § 163. When he can speak and read French well, which in this method is usually in a year or two, he should proceed to Latin, which ’tis a wonder parents, when they have had the experiment in French, should not think ought to be learned the same way, by talking and reading. Only care is to be taken whilst he is learning these foreign languages, by speaking and reading nothing else with his tutor, that he do not forget to read English,which may be preserved by his mother or some body else hearing him read some chosen parts of the scripture or other English book every day. § 164. Latin I look upon as absolutely necessary to a gentleman; and indeed custom, which prevails over every thing, has made it so much a part of education, that even those children are whipp’d to it, and made spend many hours of their precious time uneasily in Latin, who after they are once gone from school, are never to have more to do with it as long as they live. Can there be any thing more ridiculous, than that a father should waste his own money and his son’s time in setting him to learn the Roman language, when at the same time he designs him for a trade, wherein he having no use of Latin, fails not to forget that little which he brought from school, and which ’tis ten to one he abhors for the ill usage it procured him? Could it be believed, unless we had every where amongst us examples of it, that a child should be forced to learn the rudiments of a language which he is never to use in the course of life that he is designed to, and neglect all the while the writing a good hand and casting accounts, which are of great advantage in all conditions of life, and to most trades indispensably necessary? But though these qualifications, requisite to trade and commerce and the business of the world, are seldom or never to be had at grammar-schools, yet thither not only gentlemen send their younger sons, intended for trades, but even tradesmen and farmers fail not to send their children, though they have neither intention nor ability to make them scholars. If you ask them why they do this, they think it as strange a question as if you should ask them, why they go to church. Custom serves for reason, and has, to those who take it for reason, so consecrated this method, that it is almost religiously observed by them, and they stick to it, as if their children had scarce an orthodox education unless they learned Lilly’s grammar.